AMRAP stands for As Many Rounds/Reps As Possible. In these workouts, you’ll set a timer for a fixed amount of time and go through the sequence as many times as you can. The goal behind AMRAP’s is to take a short period of time, a challenging set of exercises (generally 2-6) and to work at your max effort for that set amount of time to get as many rounds as possible in of the exercises prescribed. Benefits of an AMRAP workout? First of all, they are fast. You know how long they are going to take and it’s a great way to quickly get a challenging workout in. Second, when you know the amount of time a workout will take, it’s easier to give it your all. And last, AMRAP workouts are a great way to track your progress! 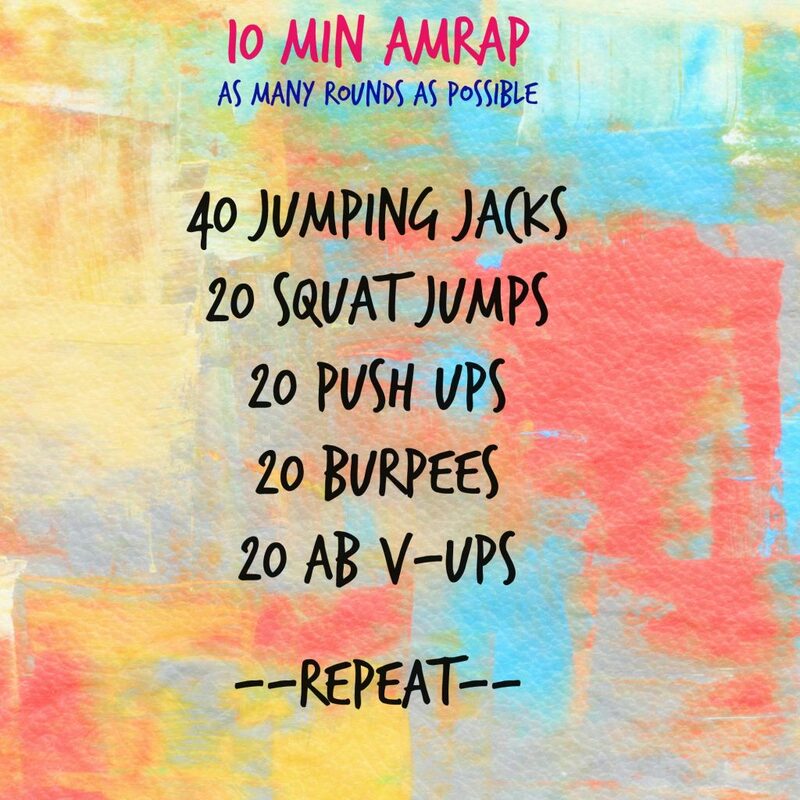 Record the # of rounds you get when completing the workout, next time, see if you can beat your previous score. If you’re used to spending lots of time at the gym – either on cardio equipment or with your dumbbells, the concept of getting a complete workout in such a short amount of time might be hard to wrap your head around. I know – it sounds too good to be true. But think of it this way: take all the strength, all the effort, all the “muscle burn” and breathlessness you experience at various times throughout your 60 minute workout and pack ALL of that into your AMRAP time. I mean all of it! It’s not the quantity ( amount of time you spend at the gym) that matters, it’s the EFFORT and the quality of reps that you do. So, are you ready to try one?